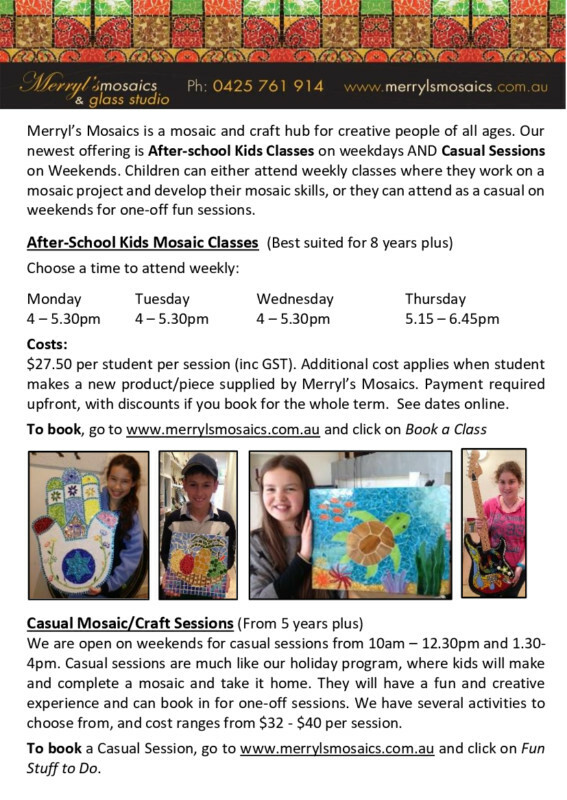 Our newest class offering here is After-School Kids Mosaic Classes so come on in and get involved! $27.50 per student per session (inc GST). Additional cost applies when a student makes a new product/piece supplied by Merryl’s Mosaics. Payment required upfront, with discounts if you book for the whole term.